With an average yearly consumption of 364 flights, our food manufacturing client based in Leicester needed a mass amount of products for a more competitive price than their then current supplier. 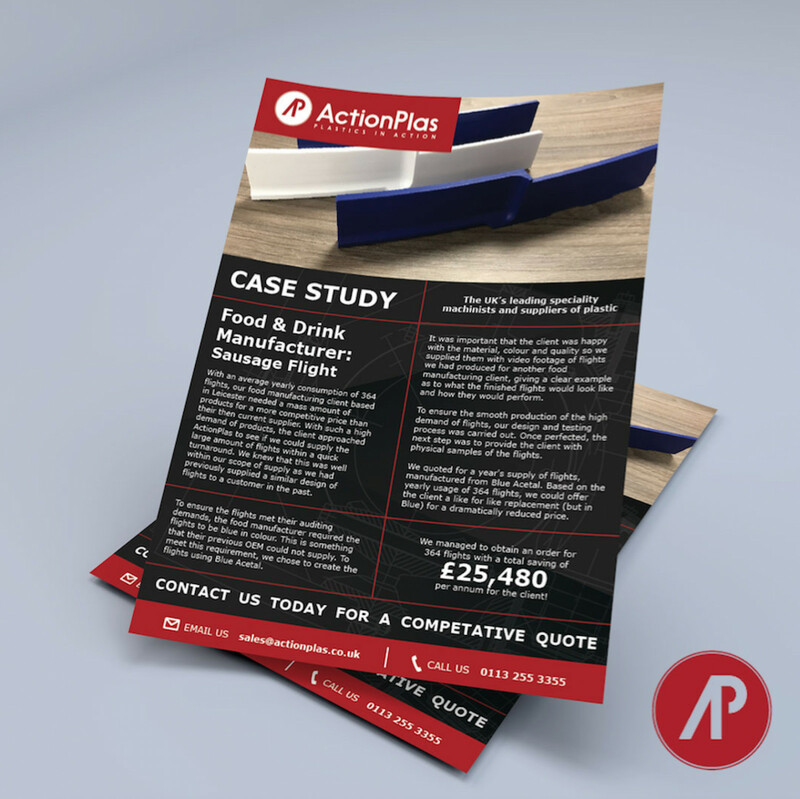 With such a high demand of products, the client approached ActionPlas to see if we could supply the large amount of flights within a quick turnaround. We knew that this was well within our scope of supply as we had previously supplied a similar design of flights to a customer in the past. To ensure the flights met their auditing demands, the food manufacturer required the flights to be blue in colour. This is something that their previous OEM could not supply. To meet this requirement, we chose to create the flights using Blue Acetal. It was important that the client was happy with the material, colour and quality so we supplied them with video footage of flights we had produced for another food manufacturing client, giving a clear example as to what the finished flights would look like and how they would perform. To ensure the smooth production of the high demand of flights, our design and testing process was carried out. Once perfected, the next step was to provide the client with physical samples of the flights. We quoted for a year's supply of flights, manufactured from Blue Acetal. Based on the yearly usage of 364 flights, we could offer the client a like for like replacement (but in Blue) for a dramatically reduced price. We managed to obtain an order for 364 flights with a total saving of £25,480 per annum for the client! If you are in the food manufacturing industry, contact our team today and let us provide you with a competitive quote today.